Maroon 5, an American pop band who was the NFL’s fifth, seventh, maybe even fifteenth choice to headline the most popular sports event in America, was severely underwhelming in a performance that already had low expectations. Fans and music lovers alike took to social media to slam the performance, with many users referring to it as “boring” and “vanilla,” which is exactly what the NFL wanted, considering they had a massive amount of controversy and drama surrounding them before the game even started. Boring and vanilla is putting it lightly, as Maroon 5 put on the most basic performance with zero surprises, leaving out anything that could give the league more problems than it already had. They didn’t give any of the haters ammunition, and thankfully, they left out their terrible new music in favor of their old hits that people actually enjoy. Lead singer Adam Levine stood around for the majority of the performance, with his knuckle tattoos getting more airtime than the rest of the band. Not much cause for excitement. 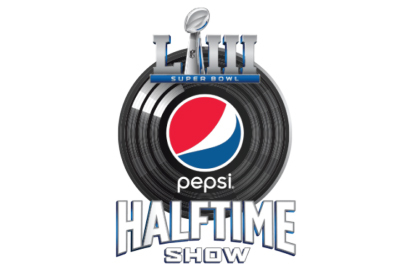 “This halftime show is worse than when my parents got divorced,” said Mark Hoppus, the bassist for Blink-182, on his Twitter account. You’d think that other rock bands would come out and show support for their fellow musicians, but when they compare your performance to their parents’ divorce, you know you blew it big time. Maroon 5 was joined on stage by popular Atlanta rappers Travis Scott and Big Boi, who were as equally unappealing in the short time slots they had. Levine seemed to have trouble hitting his notes, and the crowd didn’t really seem to be into the performance. Scott is known worldwide for his smash hits such as “Sicko Mode,” and “Antidote,” but his performance was overshadowed by the fact that half of it was bleeped out. It seemed as if Spongebob’s five second cameo, which also angered people because they wanted to see more of one of the biggest cartoon characters ever, blurted out more unbleeped words than Scott did. If you blinked, you missed Big Boi’s way too-short performance of “The Way You Move,” which was a refreshing touch to a show that desperately needed saving. Cheers were heard from the crowd here and there, but there was nothing about the show that caused anybody freak out like usual. The normal signs that people bring were absent from the sea of people, with Levine’s “California” tattoo as the only visible thing that could be read. The NFL absolutely blew it on the biggest stage once again. How could you go from amazing performances from Lady Gaga in 2017, Prince in 2007 and Michael Jackson in 1993 to such a terrible showing on a national stage where over 100 million people are watching? A fictional talking sponge was the best part of the show, which should absolutely tell you something. The game was held at Mercedes-Benz Stadium in Atlanta, Georgia, in front of nearly 75,000 people. Artists like Cardi B and Rihanna were reportedly offered the opportunity to do the show, but turned it down in support of Colin Kaepernick, who has not played in the NFL since 2016 after kneeling during the national anthem to protest the wrongdoings against African-Americans and minorities in the United States. If you decided to use the halftime show as your bathroom break, or as an opportunity to grab more chicken wings, good job, you saved yourself 13 minutes of utter nonsense.